Relations, Bowling Green State University Office of Public. 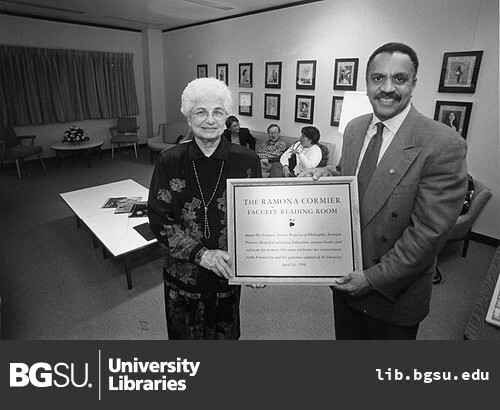 “Opening of Faculty Reading Room.” Digital Gallery. BGSU University Libraries, 5 Mar. 2013, digitalgallery.bgsu.edu/collections/item/91. Accessed 24 Apr. 2019. 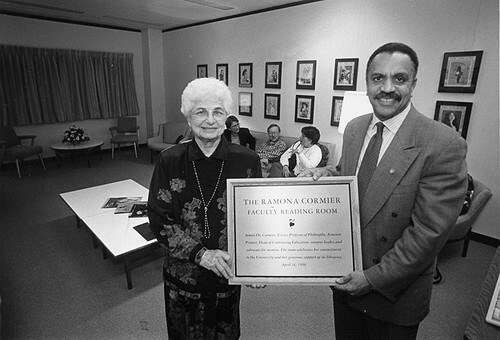 Dr. Ramona Cormier with President Sidney Ribeau at opening reception for the Cormier Faculty Reading Room in the Jerome Library, then located on the eighth floor of the building.